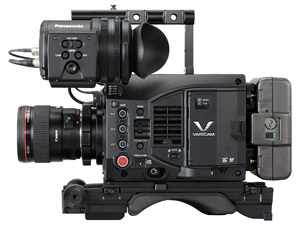 The Panasonic VariCam LT has a compact and lightweight magnesium body and offers same picture quality specifications as the larger VariCam 35 cinema camera. The super 35mm image sensor, which is the same imager as VariCam 35, features wide dynamic range, an expansive color gamut, and high sensitivity for 4K image acquisition. It has dual native ISO settings of 800 and 5000. The native 5000 ISO allows for clean shooting in very low light situations. Its size and design facilitate a wide array of shooting styles including comfortable ergonomic shoulder mounted operation or use on gimbals and drones. One new feature that has been added to the VariCam LT is the EF lens*1 mount which offers a wide array of lens choices. The EF mount*1 can be removed by an end user and replaced with a PL mount (optional). This allows for even greater versatility in lens selection when shooting with the VariCam LT. The VariCam LT workflow is very similar to that of the VariCam 35. Both cameras have a dual codec recording function that allows the user to record a primary or "main" codec as well as a smaller proxy file. In addition, each camera offers an in-camera color grading function and support for AVC-Intra 4K and Apple ProRes*2 codecs. Join the "REVOLUTION" and achieve your perfect "VISION". 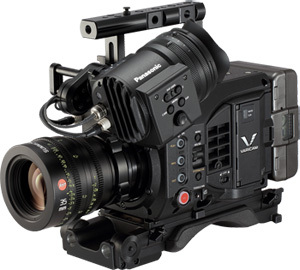 Panasonic VariCam LT is equipped with the super 35mm single-chip MOS sensor developed especially for the VariCam 35. It offers 4K (4096 x 2160) and UHD (3840 x 2160) resolution, and boasts high sensitivity, low noise, wide dynamic range and cinematic depth of field. This sensor received The Hollywood Post Alliance Engineering Excellence Award 2015. The Panasonic camera has a dynamic range of 14+ stops. This wide dynamic range assures accurate image rendering over the entire image, from dark areas to highlights. Even in very dimly lit scenes, which are particularly important in movie production, Panasonic VariCam LT provides low-noise images without any compromise in picture quality. "V-Log" is capable of creating the 14+ stops of dynamic range offered by Panasonic VariCam LT image sensor, greatly enhancing look creation capability. Panasonic VariCam LT has two native ISO settings: 800 and 5000. This means the VariCam LT achieves very high sensitivity while maintaining a low noise level at 5000 ISO. The noise level at 5000 ISO is nearly identical to that seen at 800 ISO. 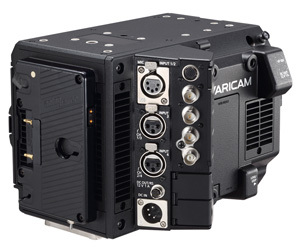 In order to achieve this function two dedicated analog circuits are implemented on every pixel of the imager of the the VariCam LT for each native ISO before gain processing. This allows the camera to achieve much higher sensitivity without increased noise. Normally noise is introduced in the gain process of rating ISO in digital cameras. This functionality is revolutionary for low light scene shooting. Especially this ISO 5000 enable to capture under the natural light keeping the mood making more realistic. Panasonic VariCam LT is equipped with "V-Gamut," giving it a wider color gamut than that of film. V-Gamut also encompasses the entire BT. 2020 color space. Panasonic VariCam LT provides down conversion to Full HD via two 3G HD SDI outputs and one VF output (BNC) while shooting in 4K. Your look with in-camera color grading and information overlay can be applied to each output. 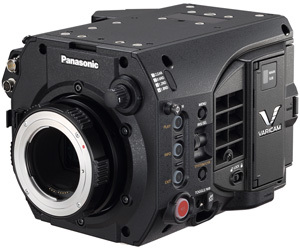 The Panasonic Cinema VariCam LT has an integrated, detachable IR cut filter. User can do the IR shooting to record 4K images in dark unlit nightscapes. This is ideal for capturing nocturnal wildlife and other scenes with no illumination. Also, the IR filter can be used in daylight as a creative tool for achieving a unique look. The Panasonic VariCam LT has a regular BNC connector for the View Finder. Users can select from various HD monitors or viewfinders in addition to the new Panasonic View Finder (AU-VCVF10G). The DC power and command control connectors for the Panasonic VF are also provided. • The lens mount is made of stainless steel, and designed to prevent flange back deviation due to temperature changes. • The camera body is made of strong rigid magnesium. • The top and bottom panels have been made flat for easy installation of various plates and accessories. • Mounting holes are provided on both sides as well as on the handle for convenient mounting of accessories. 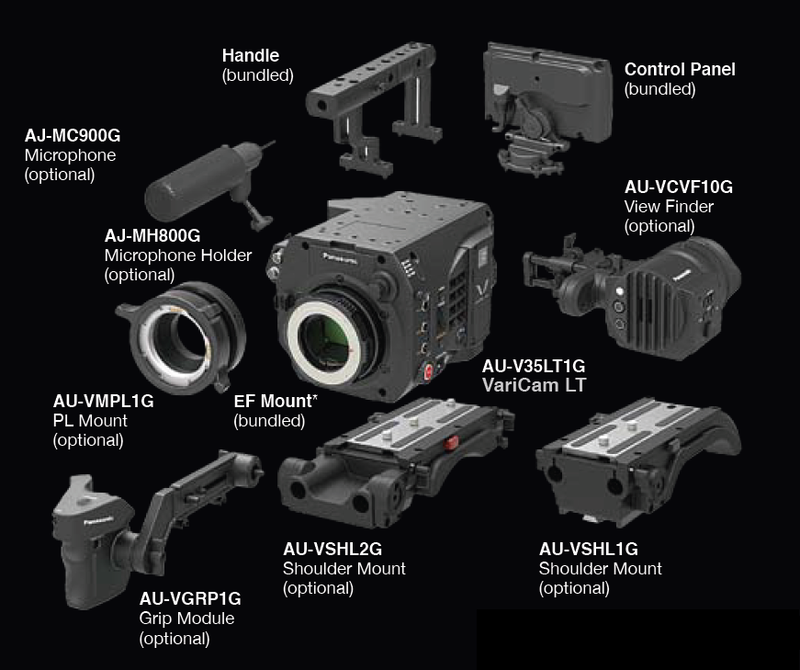 • New accessories include the new Shoulder Mount (AU-VSHL2G) and Grip Module (AU-VGRP1G). • The new Shoulder Mount (AU-VSHL2G) installs directly on a base plate. Panasonic VariCam LT features an in-camera color grading function (3D LUT/CDL). This enables color tuning on set as well as in the field when using the camera control panel or 3rd party software. This means dailies which had been created after shooting can now be produced on set with the camera. Grading information such as 3D LUT files and CDL files can be recorded together with the image data, allowing you to provide the same vision that you created on set to the editorial staff. A new firmware update for the Panasonic VariCam LT that adds RAW signal output via two 3G-SDI terminals to an external RAW recorder at 4K or UHD 60p available now. RAW recording will be compatible with the Odyssey 7Q and 7Q+ monitor/recorders from Convergent Design Inc. and the Atomos Inc. Shogun Inferno recording monitor. The recorded CinemaDNG file is compatible with DaVinci Resolve 12.5.1, Drastic Media Reactor 5.04 and upcoming versions of major NLEs and grading systems.